There are countless developments, products and equipment that changed the foodservice industry (and more specifically commercial kitchens) to the streamlined and efficient places they are today. Of course, large scale commercial dishwashers and ovens come to mind. But perhaps one of the most impactful has been the large restaurant freezer - allowing chefs to freeze items while still having them close to hand. This has allowed chefs to experiment with freezing different products for their service. One of the best products to freeze, in terms of the benefits it provides, is of course bread. It doesn’t matter how big a venue is, commercial kitchen owners are always looking for new ways to help lower overhead costs and increase profits. However, some of these ideas come with heavy price tags that aren’t economical for small businesses. So you’ve streamlined your menu, fixed the dripping taps, briefed the kitchen staff in sustainable use of energy, what else can you do? The next logical step is to reduce excess food waste in your kitchen. And the easiest place to start is by swapping your fresh bread order to a frozen one, meaning you can just thaw your bread as you need it and not have to go through the pain of watching your profits literally get dumped in the bin at the end of service. Most chefs are operating in kitchens that they haven’t designed themselves, making do with decisions made about the space years ago. This often means there is less than optimal bench space for food preparation. Unless you are lucky enough to have an expansive and well-designed kitchen, most chefs need to be wise about how they use their spare surfaces. Buying frozen bread saves space on bench tops by being stored in the freezer until needed – leaving precious bench space for preparation and presentation. Let’s face it, bread is a time-consuming product to make from scratch – especially if you want to get it right. This kind of time, proofing, kneading and baking bread is often just unavailable for commercial kitchen operators that are also trying to make condiments, pickles and desserts in-house. 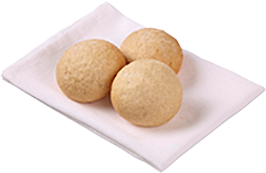 Buying frozen bread from wholesalers saves chefs valuable time at the beginning of service. Not only is bread time consuming, it is also a variable product. What works makes a light, fluffy loaf in your kitchen today may end up a tough, flat bread the next day. Instead of having to adapt to the changing results of house-made bread, chefs can rely on frozen bread, baked by experts that are well positioned to ensure that the product coming off the production line is consistent in size, shape and performance. 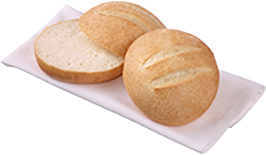 This saves chefs headaches, allowing them to confidently serve just-baked bread, as pre-baked products will ensure a consistent product, without the waste associated with mixing from scratch. 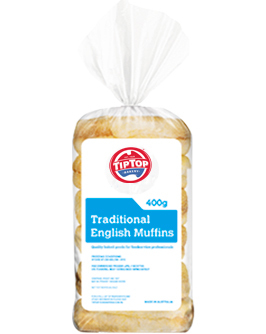 Tip Top Foodservice provides a range of frozen baked and pre-baked breads to the foodservice industry, ranging from the well-known Tip Top range through to the Speedibake range allowing chefs to finish their bread in house. Products include gourmet burger buns, dinner rolls and sliders, rustic loaves and classic rolls and buns as well as pancakes, fruit breads and everyday sliced breads. All are delivered frozen, giving foodservice outlets the power to take control of their stock and save time, effort, space and headaches in the kitchen.